If you’re one of those people that want to plant their own vegetables in order to ensure maximum quality, then you’re probably wondering what type of seeds you should get in order to get top quality vegetables. Aside from the tasty fresh produce that organic vegetable seeds provide, there are also beneficial for the environment and the health of the humans that grow them. 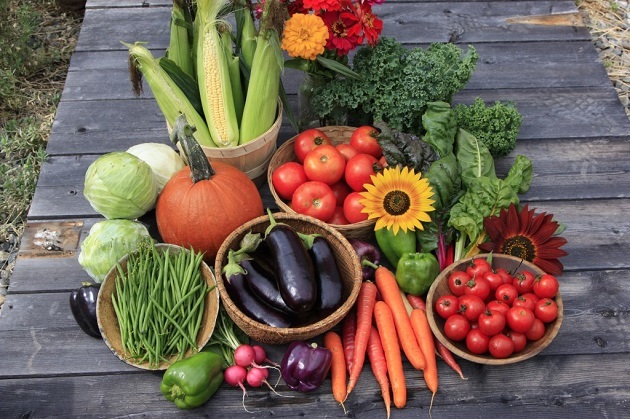 Organic vegetable seeds come with far more benefits that conventional seeds. For example, organic seeds are safer for farm workers and their families. They can be grown without synthetic herbicides, fertilizers and pesticides. Furthermore, seed treatments are something that you won’t have to do, with guarantee. Besides the vegetables themselves, organic seeds are grown using methods that will improve the fertility of the soil and won’t pollute it, as well as the water and air. Moreover, these growing methods will isolate the CO2 and are regulated by the national and international laws and third-party agencies. When you plant an organic seed, the product is bound to have a strong immune system, which results in them having strong natural pest and pathogen resistance. These seeds will best perform in an organic farm or garden, where they are accompanied by other organic plants where they can complement each other and the soil they are nurtured in. And by planting organic vegetable seeds, you are supporting the development of organic plant farming practices. Using an organic approach requires a great deal of understanding and focus on the overall system in which you plant the seeds. The thriving of a specific plant is less about the plant itself, but more about the environment in which the plant is being grown. The origin of the plant is just a part of the problem, but you must also consider all other factors. To sum things up, every gardener should feel encouraged to get educated and stop paying the high price of cheap seeds. You shouldn’t expect to get cheap seeds and grow great vegetables. Besides the bad quality of vegetables that you get from cheap conventional seeds, you are also damaging the soil and the entire environment in the process, which will lead to sub-optimal gardening and have many consequences on the production and the health of farm workers, families and communities within which those seeds are grown. Buying organic seeds, on the other hand, will provide financial support to organic plant breeders and farmers helping them hasten the much necessary transition to sustainable organic food production.